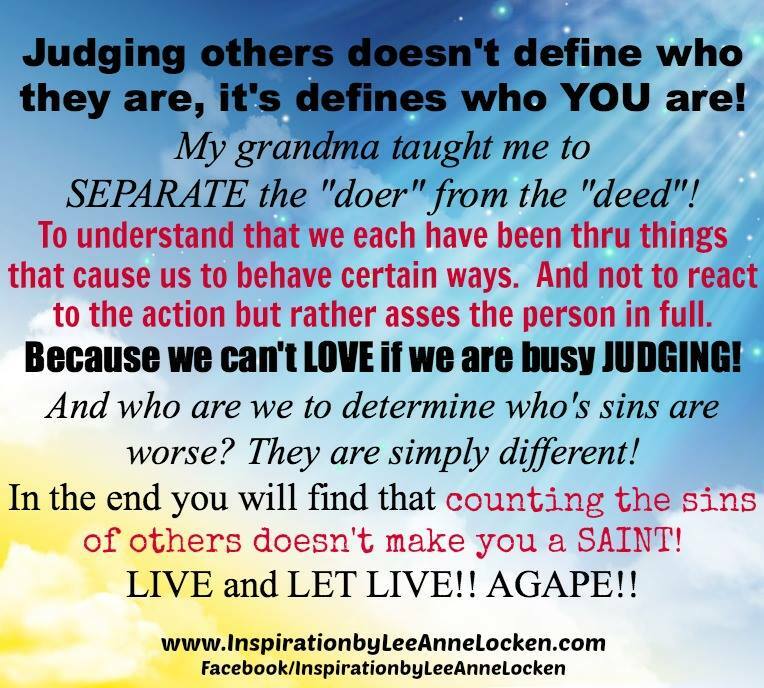 Inspiration by LeeAnne Locken: Judging Others DEFINES the JUDGE! Judging Others DEFINES the JUDGE! God speaks to ME today! Judge NOT less ye be judged! being JUDGED and lied about! LIVE & LET LIVE today!